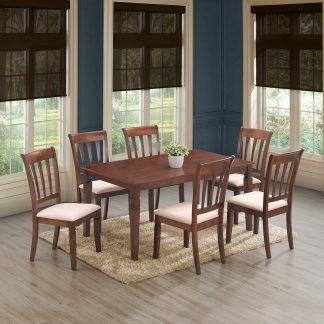 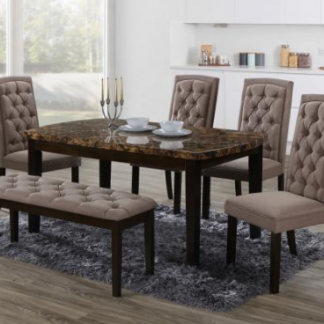 Furnish your dining room with a collection that will leave your guests speechless and the entire family in awe. 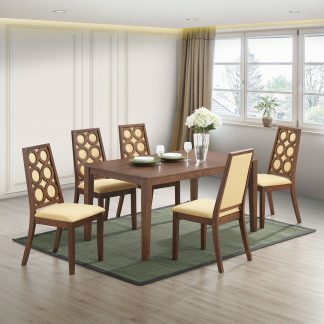 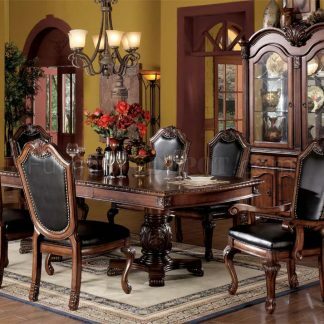 The “Chateau de Ville” Faux Leather 8 piece dining set features a traditional design with exquisite details. 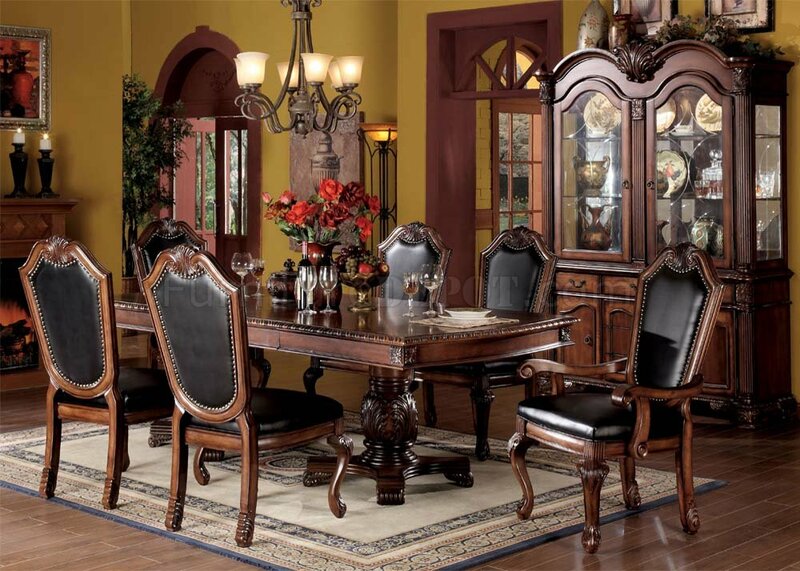 Set features 6 Faux leather chairs, a beautifully carved dining table and a matching buffet that is priced separately.